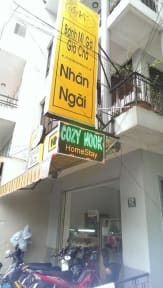 Best hostel we stayed at during our trip through Vietnam. Incredible hostel which deserves the numerous awards it's been given. A really friendly atmosphere with all the staff knowing your name and the family dinner making everyone have a drink and chat every evening. Only slight downside was they really push their tours on you but that's fair enough. Great hostel that really lives up to its reputation. The staff are the nicest I’ve ever encountered at a hostel, make sure everything is perfect during your stay. Family dinners are cheap and a nice way to meet people. The beds are large and very comfy with easy to use steps up to the top bunks.